"The author is true to his title. Hildebrand writes about virtue with an artist's flair. He shows us the moral life as it is -- and so we can see the overwhelming appeal of every virtue, every value. It is the art of living virtuously that makes love possible and leads us to friendship and communion - with God and neighbor. A better life, the life we want, begins in these luminous pages." -- Scott Hahn, bestselling author of over forty titles, including The Lamb's Supper and Reasons to Believe. 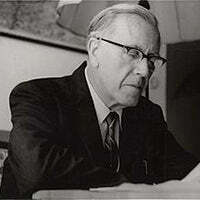 Dietrich von Hildebrand (1889-1977), born in Florence, was the son of renowned German sculptor Adolf von Hildebrand. A leading student of the philosophers Edmund Husserl and Max Scheler, he took up the "great questions" - about truth, freedom, conscience, community, love, beauty - with a freshness that allowed him to break new ground, especially in ethics, but also in epistemology, social philosophy, and aesthetics. His conversion to Catholicism in 1914 was the decisive turning point of his life and the impetus for important religious works. His opposition to Hitler and Nazism was so outspoken that he was forced to flee Germany in 1933, and later across Europe, finally settling in New York City in 1940, where he taught at Fordham University until 1960. He was the author of dozens of books, both in German and English. He was a major forerunner of Vatican II through his seminal writings on marriage, on Christian philosophy, and on the evil of anti-Semitism.